We can provide existing processes analysis, with feedback on the latest industry standards and technologies to increase reliability, cost savings and safety. Complete reports of existing processes include: process flow charts, production mix breakdowns, current production rates, labor cost breakdowns, overall efficiency, spaghetti diagrams, cycle time analysis, lead times, product changeovers, down time, scrap and rework. We provide design of electrical installations for automated control systems, instrumentation systems, drives and electrical distribution systems using AutoCAD and E-Plan, following Customer formats, standards and specification guidelines. Cable routings (cable trays, conduit, cable schedules, etc. ), network layouts, pneumatic and hydraulic designs. Electrical design compliance with local Electrical Safety Code and other regulatory requirements. Codes: NFPA / NEC, IEC, NEMA Ratings, CE, UL. Evaluate, specify and procure electrical materials and controls equipment. Provide cost and time estimates for electrical designs and installations. Update electrical drawings, cable schedules and other documentation as per field revisions. Software: AutoCAD /Catia / FIDES / E-Plan /Inventor / UGS NX (Unigraphics). Working within customer specifications of control hardware and software, we do complete Controls System Design, Virtual Commissioning, Integration and Commissioning in many industries. Development of applications for Operator Interface Terminals, for use with PLC Control Systems (RSView, GE Cimplicity, WinCC, Ignition, etc. ), commissioning and start-up of control systems, including software and hardware. 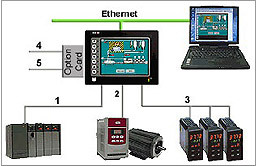 Safety PLC, PLC Servo Configuration and Integration, VFDs, SCADA Systems Integration, HMIs. Processors: Allen Bradley (Rockwell Automation)/Automation Direct / Beckhoff / Fanuc / Mitsubishi / Modicon / Omron / Siemens / Telemecanique. 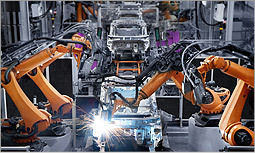 Complete Robot software programming, Commissioning and Integration. 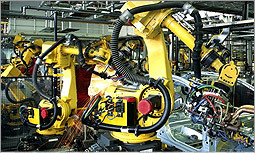 We specialize in robotics systems from single stand-alone robot cells to complete plant assembly lines. Our professionals are proficient in virtually every robot brand and model, as well as an extensive list of applications. We offer consulting services to evaluate throughput, downtime prediction and capacity increase. Applications: Cutting, Gluing, Hemming, Laser Brazing, Press-to-Press, Riveting, Sealing/Dispensing, Vision, Spot Welding, Palletizing and Material Handling, etc. Our simulations utilize virtual models of the working environment and of the robots themselves, which offers advantages to both the company and programmer. 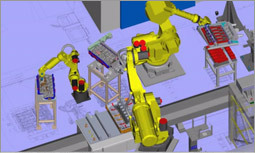 Robot actions and assembly parts can be visualized in a 3-dimensional virtual environment, months before prototypes are even produced. This allows us to check for any issues or conflicts, saving time and money by identifying costly mistakes before the machine is built. 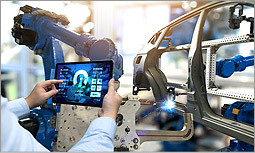 Using a simulation also allows robotics programs to be conveniently written and debugged off-line, eliminating any down-time for assembly lines and reducing overall costs. Once completed, the proven and debugged version of the program can be transferred directly to the physical robot, saving time during commissioning and installation. 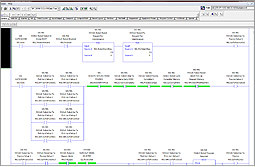 Throughput Analysis and Process Simulations. Our personnel include skilled welding engineers and technicians with a knowledge base that covers all aspects of the welding processes, weld verifications, and compliance with customer standards. We have extensive experience in the design, review and set-up of resistance, laser and arc welding processes. Our experienced project management team uses multiple strategies to achieve all the project goals within our Customers’ guidelines. Our core values are to provide our customers projects the enthusiasm and support required to complete project phases on time and accurately. Our Managers are professional and courteous when interacting with our customers and use the latest IT technologies to facilitate the flow of information. Functional Performance Specifications, System Integration, Startup and Debug. Lean Manufacturing and Six Sigma Compliance. Industrial Safety, Rigorous Quality Control and Safety Checklists. Customer Process and Safety Buyoffs, Manufacturing Safety Electrical and Process Drawings. Technical Support, User & Operation Manuals, Training, IT Services. Extensive production support and improvements, field support of automated systems. Maintenance Support & Preventative maintenance programs. 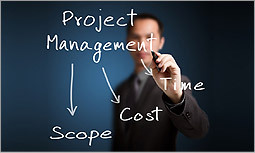 Value Engineering is a systematic and functional approach to improving the value of projects, processes or products. Value Engineering Analysis follows a structured process which helps team members communicate, understand different perspectives, innovate and analyze. This extremely effective tool, seeks out and identifies client needs and performance levels required at the best life cycle cost. 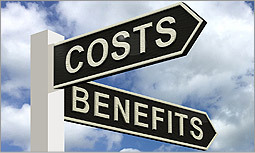 By identifying required client needs through “function analysis,” an item’s cost can more closely match its worth. Lean Manufacturing is a complementary methodology that satisfies the goals of the client and increases value by the elimination of waste. Traditionally utilized in manufacturing processes, these concepts are being rapidly adopted in many business sectors such as hospital administration, government departments and private sector applications. By combining the strengths of Value Engineering and Lean Manufacturing, we provide creative, cost effective business solutions to our clients.